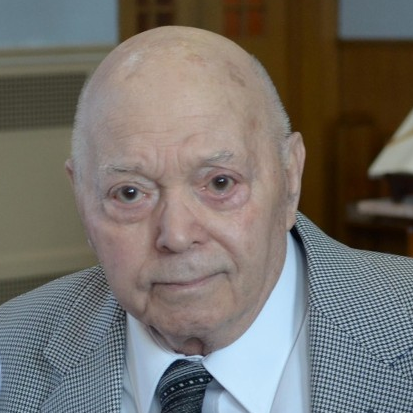 Joseph L. Oliveri, long-time resident of East Boston, passed away on January 17th at the age of 92 peacefully surrounded by his loving family at Kaplan Family Hospice House. Joe was born on December 1, 1926 in Revere, MA to Carl and Josephine (Piazza) Oliveri. He met the love of his life Katherine "Kay" Pignato in East Boston. They married and raised their family on Princeton Street in East Boston. Joe fondly would tell stories of living on Princeton Street and working with his brother-in-law Pat on various political campaigns, at one point having to drive then-candidate George HW Bush to Caruso's Diplomat to a function. Joe was the devoted father of Carl Oliveri and his wife Rose of Saugus and the late Joseph Oliveri. Dear brother of the late Josephine Cardoza. Cherished grandfather of Carl Oliveri Jr. and his wife Jessica of Chelsea, Laura Groves and her husband Kenneth of Melrose and Daniel Oliveri of Saugus. Adored great-grandfather of Kayla and Ava. Family and friends will honor Joe's life by gathering at the Ruggiero Family Memorial Home 971 Saratoga St. East Boston on Tuesday, January 22, from 8:30AM to 10:30AM before leaving in procession to Sacred Heart Church Brooks St., East Boston for an 11:00AM funeral mass in celebration of Joe's life. Services will conclude with Joe being laid to rest with full military honors beside his beloved Katherine at Holy Cross Cemetery in Malden, MA. Joe was a past Army Veteran serving in the Korean Conflict. He was a long-time member of the Revere Moose and the Italian American Civic League.